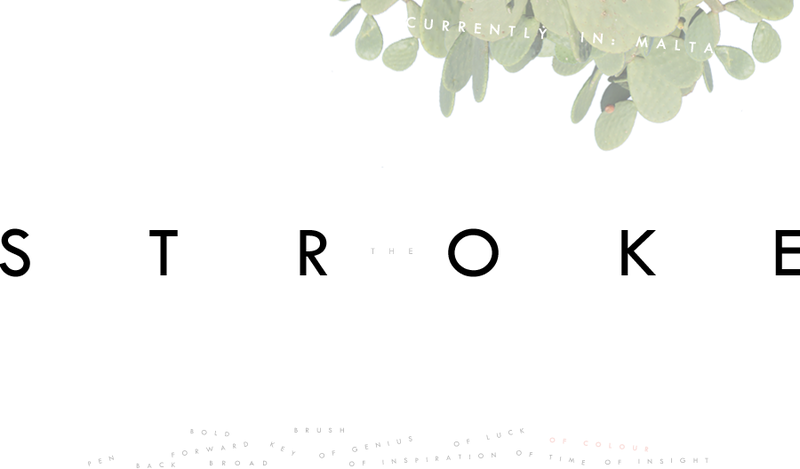 The Stroke Blog: We want to Go with Oh to Dublin! 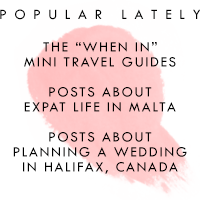 In Malta, rain usually hasn't fallen for 3 or 4 months by the time September rolls around. So what better time to Go with Oh to Dublin! From urban deer to ancient temples, we'll soak up (pun intended) all Dublin has to offer. 1. VISIT ONE THE WORLD'S OLDEST BUILDINGS. The title 'Oldest Building in the World' is a contentious one, but built over 5,200 years ago (that's 1,000 years older than Stonehenge!) 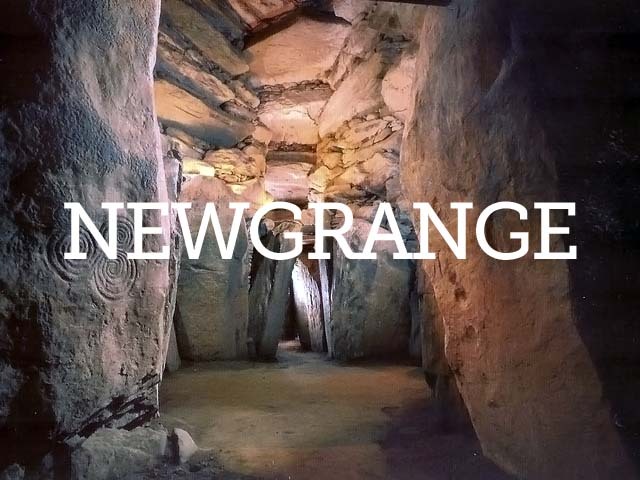 Ireland's Newgrange is certainly a contender. 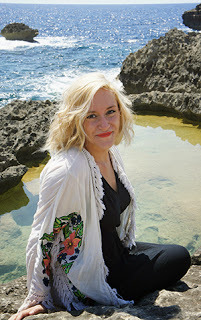 So are Malta's Neolithic temples and hypogeum. And the similarities between these Maltese and Irish structures are intriguing, to say the least, moving Newgrange to the top of our must-see list for Dublin. Newgrange is the perfect blend of mysterious and stunning - well worth the short trip outside of the city. And like all really interesting, ancient buildings, Newgrange was built by a highly advanced, lost civilization. After touring the structure, we'll weigh in on its purpose (burial grounds? astronomical? mythological? religious?) and marvel at its construction. You try building a 76 x 12 m (250 x 40 ft) structure out of giant rocks from a beach 20 km away, and a cairn (rock wall) made of 200,000 tonnes of stone. Wow! 2. 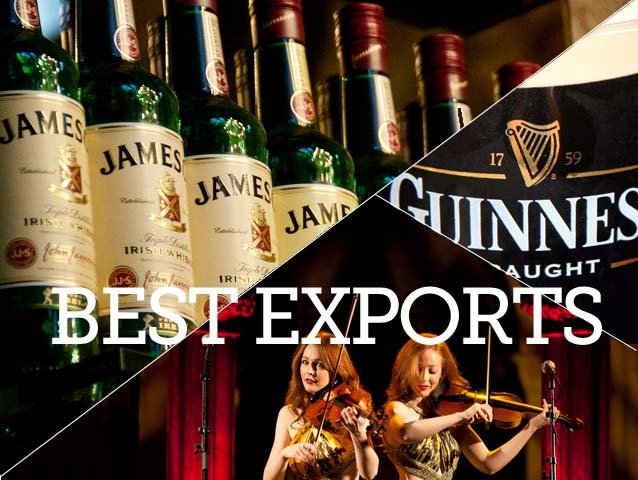 DISCOVER IRELAND'S BEST EXPORTS. Like proper tourists, we'll take in the local sights, smells, and drinks while touring two famous Irish institutions: the Guinness Brewery and Jameson Distillery. While most of the world simply drinks beer, the Irish can (and do) have a perfectly poured pint or two as a meal substitute. And we love them for it. Running with this theme, we'll check out the Temple Bar district. Our hometown, Halifax, is well known for its Irish pubs and Celtic music (the cause of many students' hangovers). So we'll feel right at home in Temple Bar eating pub grub and enjoying live Irish tunes. We're itching to find the heartiest meal in the district, the smallest pub, the best band, and the most creative Guinness themed drink. Then we'll drag ourselves out of bed the next morning for the Temple Bar Food Market, Design Mart, and Book Market. 3. SEE A CASTLE. No trip to Ireland is complete without setting foot in a castle. And Malahide Castle, built in a pretty seaside town, is the castle for us. 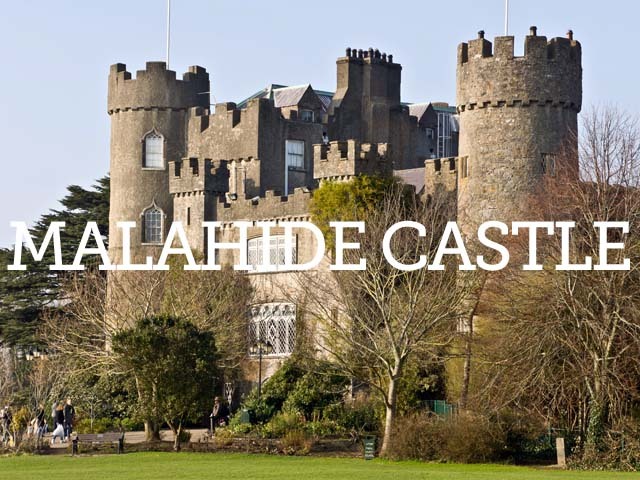 Malahide Castle was inhabited by the Talbot family from 1185 to 1976 - almost 800 years! If those walls could talk, right? As befitting an Irish castle, it's bursting with ghost stories, and sits on 250 acres of rolling green hills and botanical gardens. In fact, its grounds are one of the few remaining examples of 18th century landscape parks (which Jess, the art history student, can assure you are fascinating.) The castle is also a concert venue - imagine seeing past performers Prince, Radiohead, or Eric Clapton play here! We'll explore all Malahide Castle has to offer - and we'll be some of the first to do so since the castle's 2011-2012 renovations. 4. CATCH A RUGBY GAME. While we're in Dublin we'll take in a rugby game (our first!) at Lansdowne Rugby Club. 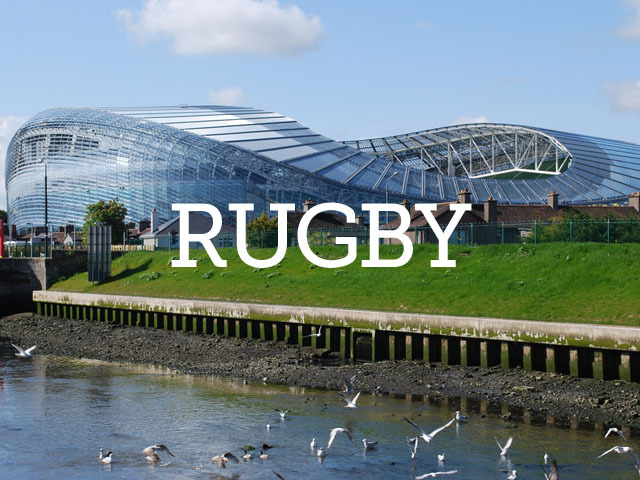 Rugby is like American or Canadian football without the helmets and safety pads. Action-packed athleticism and cheering crowds of devoted fans? Count us in. This is a great opportunity to see how Dubliners (who we'd wager are the most friendly people in the world, next to Canadians) let loose and play. 5. 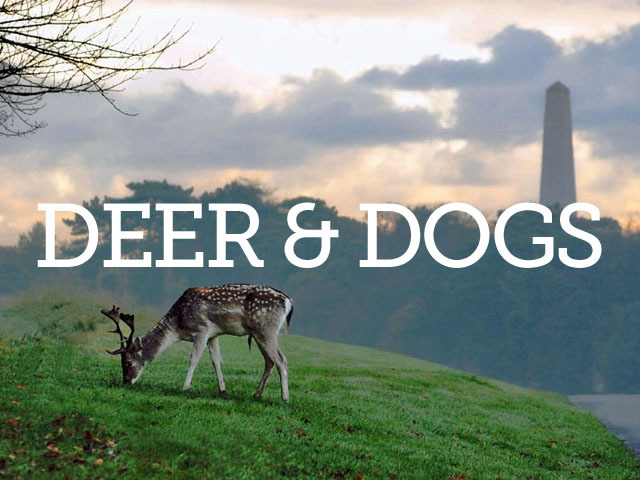 EXPLORE PHEONIX PARK WITH DEER & DOGS. 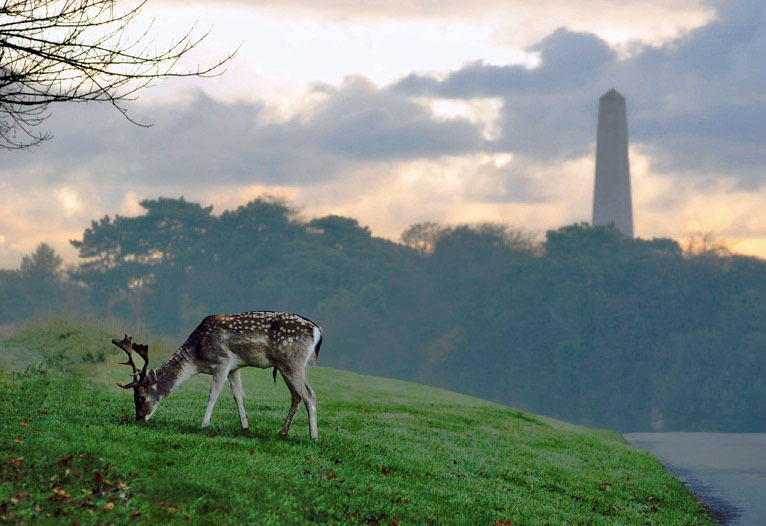 Dublin's Phoenix park is much like other big city parks, except that it's home to a large family of Fallow deer! We'll wander through the park with our little pups in tow, and see what happens when a Chiweenie (a Chihuahua Dachshund cross) meets a deer. Fight or flight? Our money's on flight. Of the dogs, that is. While we're here we'll head over to Áras an Uachtaráin (the Irish version of the White House) to snap a photo of our Oh car with the President of Ireland. We'll also see the Wellington monument and Phoenix Column, search the grounds for a four leaf clover, and of course pop into the Dublin Zoo, the third oldest in the world. Can you help us Go with Oh to Dublin? Send a tweet or email (they're pre-loaded with messages - easy!) 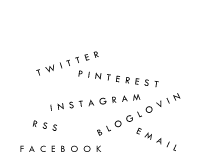 or create a Facebook post to let Go with Oh know we're the best bloggers for the job. Not only do we have a great story to share, but Go with Oh wants to help you get the most out of what Europe has to offer. We live that motto everyday. With Go with Oh, there's something for everyone. 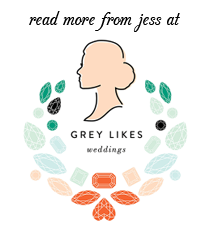 Get in on the fun! Tweet your best Berlin travel tips to @GowithOh for a chance to win a $50 Amazon gift card. You can also enter to win one of four fantastic travel prizes - Samsonite luggage, an iPad, a Panasonic camera, or €500 worth of holiday accomodation - on their Facebook site. What are you waiting for? psst...Pinners! We've also created the #GowithOh tag and the original Go with Oh competition board on Pinterest! Head on over and check out our #GowithOh board for great travel ideas. Don't forget to tweet us if we've missed your favourite! Whoa, that rugby arena is insane!! I know, sport arenas are strangely pretty! I love this one. Good luck! I love Dublin -- try to catch a GAA (gaelic football) game at Croke Park if you win; it's the truly local game!